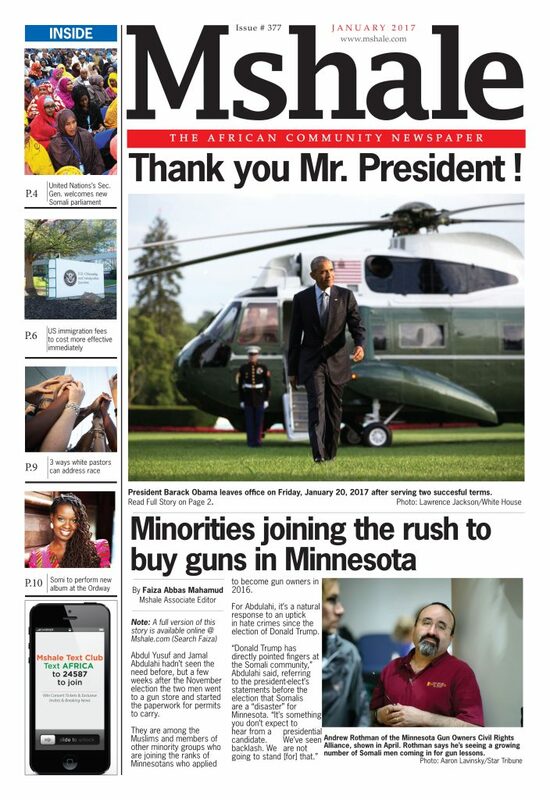 The front page of the January 2017 edition of Mshale featured outgoing president Barack Obama. It is one of the best circulating editions so far in Mshale’s 21-year history . The first black president of the United States will be winding up his presidency by the time you read this edition. You have by now read numerous commentaries and articles on the successes and the failures of the Obama presidency. No matter what is written, we believe history will judge his presidency as a successful one. Given what president Barack Obama inherited it is mind boggling what he was able to achieve. 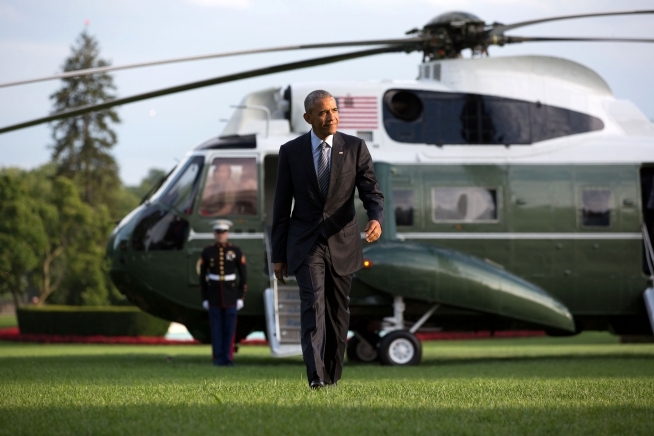 Under his watch, we moved from negative job growth for our country to positive net growth. We need to remember that when Obama came into office, unemployment was at a recession high of 10%. Unemployment is now 5% as he prepares to leave office. In other words, most people who want jobs are able to find them, unlike in 2009 when he was sworn into office. We can argue on what type of jobs are being created, but give the man his due. We should not be applying double standards. It should be the same for all presidents. Positive job growth? Yes, under Obama. The economy is in much better shape than when Obama took office. To that, just as we blame presidents when the economy is tanking, so should we also acknowledge the good that is happening. That is part of his legacy. Many of our African parents have always told us to leave a place better than we found it. That is what president Obama has done. How about that healthcare? We now have over 20 million Americans that could not get health insurance because of preexisting conditions that insurers did not want to insure. The Affordable Care Act (ACA) aka Obamacare, is going to be the president’s long lasting legacy. The ACA is under attack but we believe the fundamentals of the legislation will remain intact. Those fundamentals include the barring of insurers from discriminating against those with preexisting conditions. Then there is also the allowance for parents to still have their children on their insurance policy until age 26. Even the incoming president Trump who has vigorously opposed the ACA says he wants to keep these two provisions. The third fundamental is what is called the individual mandate which ACA requires everyone to have health insurance by law. These three complete the so-called three legged stool. The individual mandate has invited the most ire of those opposed to the ACA. As the president has said previously, if Republicans have a better solution to the ACA he will support it and we agree with him on that as many other ACA supporters do. They can also call it whatever name they want but they are in our opinion going to find out this is a long lasting Obama legacy even under a different name. The ACA should be reformed not repealed. Under president Obama, America’s standing in the world increased. He inherited a country whose image had been battered abroad following years of wars and bullying of other countries. With the exception of Russia, there are few countries where the US is not viewed favorably. In Latin America and Africa especially, the US through Obama has maintained or increased its approval ratings there. May African immigrants came here to attend college and in fact a vast majority of them came through student visas or professional visas and not as refugees. As such, we are very invested in making sure our children attend college. Many of you might not be aware that as part of the health care reform bill aka Obamacare or properly the ACA, it kicked out the banks out of the federal student loan program. Starting July 2010 all students began getting their federal student loans directly from the federal government. The US Treasury was projected to save $67 billion over ten years, $36 billion of which will go to expanding Pell Grants to lower-income students. This has been immense help to many Americans recently and in the future. These are the moves of a bold leader and his legacy. Did he have challenges? Of course yes. He will be the first one to admit that politics is never about smooth sailing. We wish the president and his family all the best as they become private citizens and thank him for his service to the American people. We know what we think of his great achievements and will leave the rest to history.